The RasPi-Console is a card which connects to the GPIO pins and adds a slave USB port to the Raspberry Pi. The RasPi-Console is a card which connects to the GPIO pins and adds a slave USB port to the Raspberry Pi. You can now take your Raspberry Pi on the road and talk to it from your laptop computer. We have often wanted to take our Raspberry Pi along with us but were always discouraged because we needed to bring along a monitor, keyboard, mouse, and power supply. 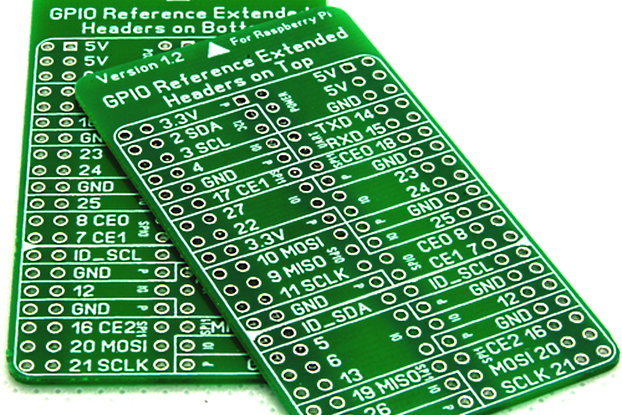 What we really wanted is a way to talk to the Raspberry Pi as a USB slave. That can be done with an FTDI cable but that's unwieldy and doesn't allow daughtercards (hats) to be mounted to the Raspberry Pi. Console port lets you talk to your Raspberry Pi over USB without a keyboard/mouse/monitor or Ethernet connection. Jumper selectable - power the Pi from your computer's USB port. 26-pin extender connector. 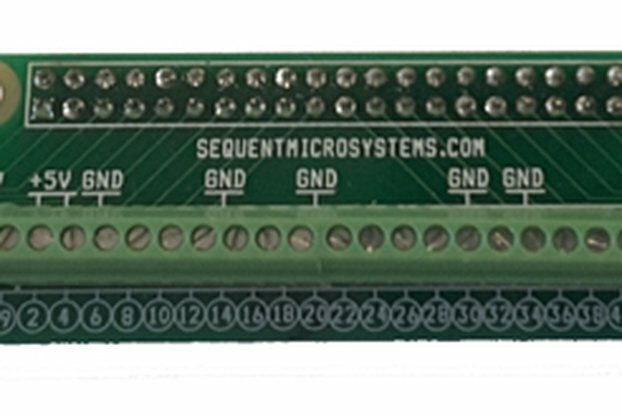 This version extends the GPIO lines from the Pi so that a daughtercard can be placed above the card. 40-pin extender connector. 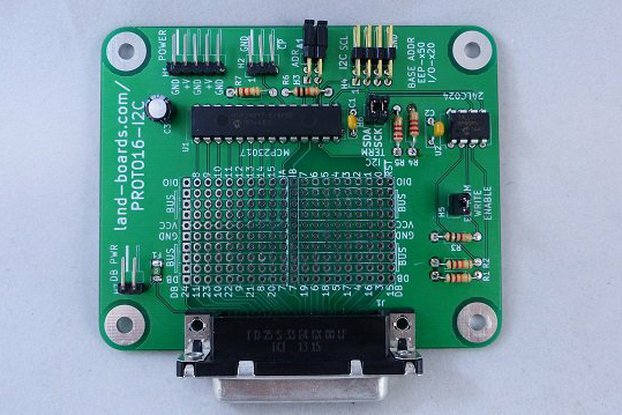 This version extends the GPIO lines from the Pi Plus so that a hat can be placed above the card. 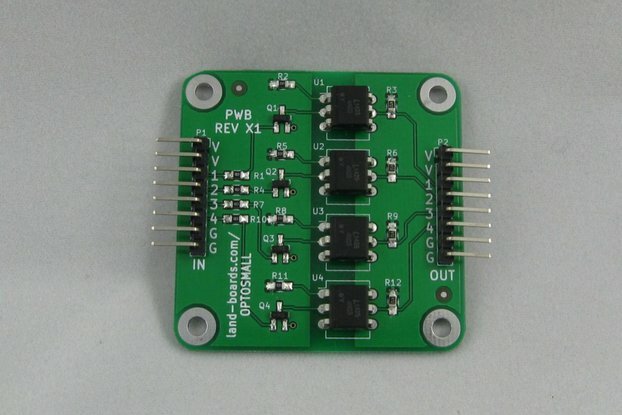 26-pin low profile connector - works great with either the Pi or Pi Plus model cards. This is the lowest cost option but it doesn't support cards mounted above the card.